The one item you must go to HM and buy right now! ^^^ this scarf! $17.90! HURRY! GO! so killer paired with my Agate Mermaid bag find it here! By the way I love that shop and the overall vibe they have going on! It speaks to me :) HM is great too... it speaks to Andy's wallet. 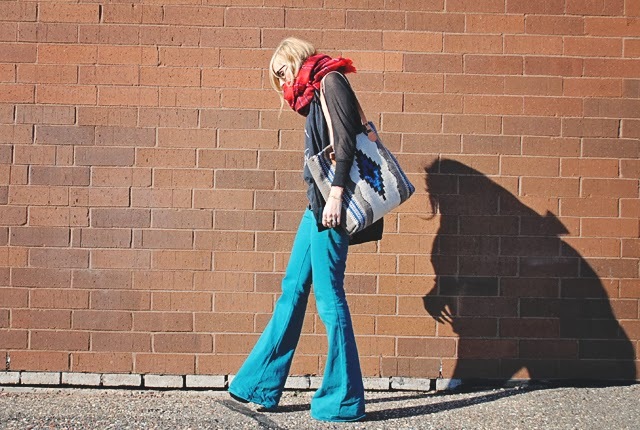 I wear a lot of bell bottoms, but I think my heart is slowing leaning to skinnies. 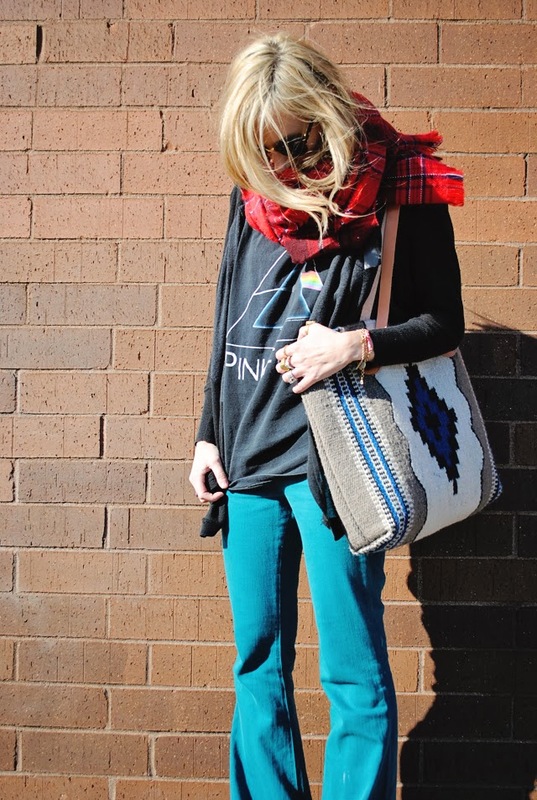 I am digging the cropped skinnies with a flannel and booties. I think I am going to need to invest in some killer skinnies as I haven't lost my pregnancy weight and my old ones aren't fitting right (dang those muffin tops!) so if you have any go-to ones that you love I would be thrilled to check them out! 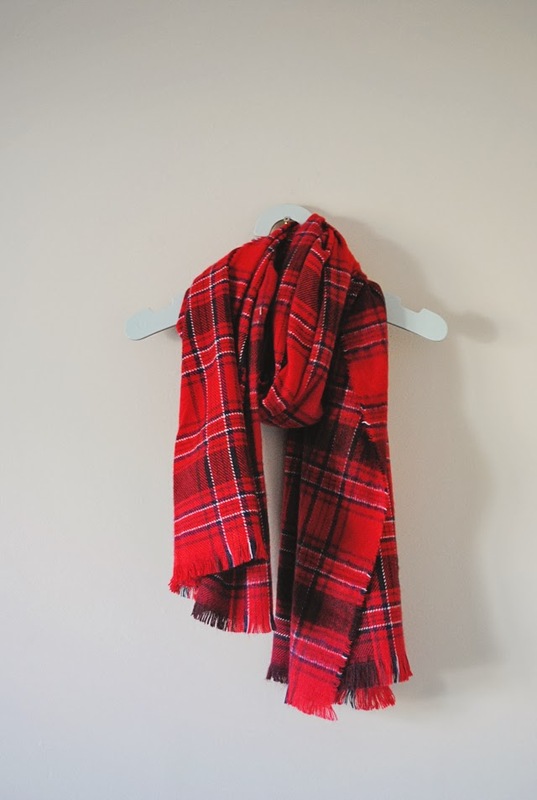 Until then - run and scoop up this scarf! I am in love with it! girl you kill me! totally digging this nod to classic rock ensemble today! LOVE this outfit. And those bellbottoms make me smile. 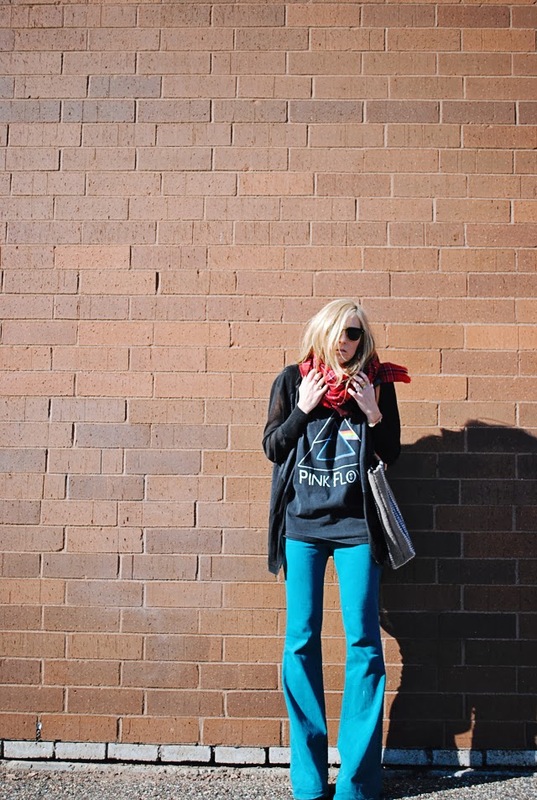 I've been wearing only skinnies for a few years and am wanting to branch back into the flare leg. Love. I read a post a little ways back from a a family wedding and you did the bride's hair... So good! Were you a stylist before full-time mama?? Like seriously better than some pros! 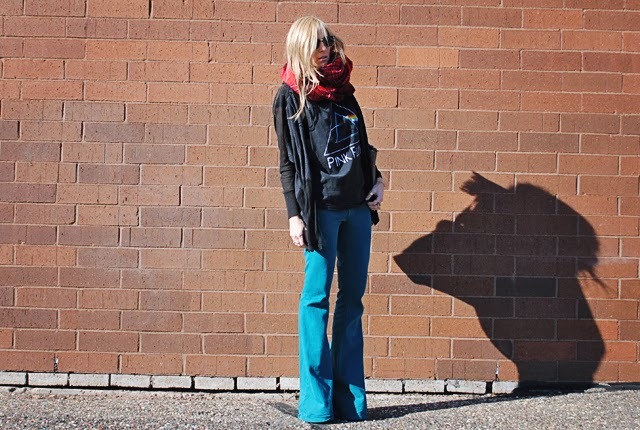 Awesome outfit, equally awesome shadows! 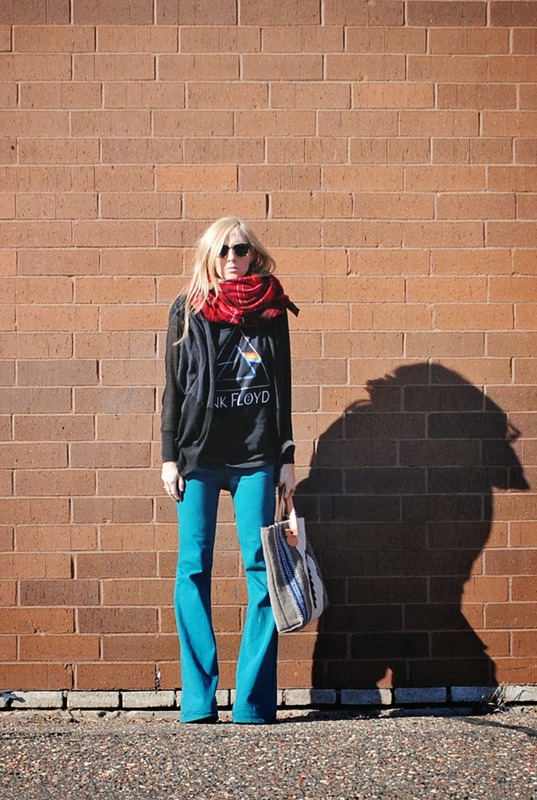 I love the scarf, and I wish I could recommend a good pair of skinny jeans, but I'm constantly tugging up mine- maybe try some high-waisted? I'm officially becoming a stalker. This is my last comment, I swear! Ok...I think it is. LOVE this outfit! !